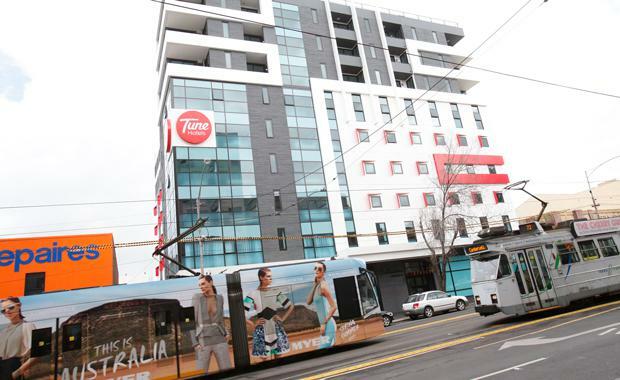 International budget hotel operator Tune Hotels has purchased a site from AMP in Melbourne for a reported $18.5 million. Tune bought the 540 Flinders Street property which has dual frontage on Flinders Street and Flinders Lane. A low-rise office building is currently on the 1742 sq m site which is leased through until August this year. The site has potential for mixed-use development and is located in a major height precinct. Tune Hotels was co-founded by Malaysian entrepreneur Tony Fernandes who is also the co-founder and group CEO of prolific low cost airline AirAsia. The hotel group developed and opened its first Australian hotel in Swanston Street Carlton in 2013. Tune sold that property earlier this year for $52 million returning a nice profit. Tune Hotel Melbourne has since been rebranded under Accor Australia's ibis banner. Tune Hotels CEO Mark Lankester said at the time that the hotel group was not leaving Australia but was actively pursuing other opportunities here. The group operates in 24 locations across Malaysia, Indonesia, United Kingdom, India and Kenya. It provides central and convenient locations with a limited service offering based on a 'pay-as-you-use' system designed to remove high operating costs of little used facilities in traditional hotel properties. CBRE Melbourne transacted the deal on behalf of AMP. Above: Tune Hotels' CEO Mark Lankester. Main image: Tune Hotels' previous Melbourne property at 609 Swanston Street, Carlton.